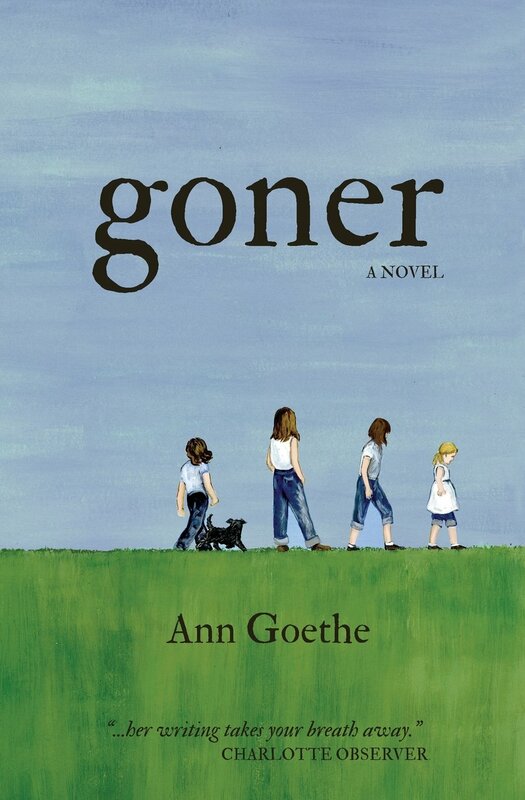 “Goner” by Ann Goethe takes readers on a journey of memories of the deep south from 1943 to 1980 as four sisters prepare for the passing of their father. Like most of us, each family member remembers events about their parents from a different perspective. I initially thought the story was going to be about the sisters, but in fact, it is about the mother who was trapped in old southern middle-class values during the 50’s and 60’s. Interestingly enough I read this before going home to see my own mother who is living in a nursing home. It is amazing what each of us remembers or denies about our families and how it impacts us as adults. The author has done an excellent job of intertwining racial prejudice, different standards for women during that era, and historical events that impacted everyone. It is written with such passion, heartbreak and love I found myself crying at times. Given that I grew up in the south I related to GI’s going into the service and renting out their homes, the stunning reactions to Elvis Presley, and how one related to blacks. I found the commentary about “Later the sisters will blame their mother for almost everything wrong about them, or their lives” to be interesting. We often see this today as mothers are the easiest to blame, but also the most loved. Reader’s will find that “Goner” will touch their souls; it is easy to read, and relatable to all, regardless of where one grew up. It is about family dynamics, turbulent relationships and things we wished we knew or said while our parents were alive. It will change one’s dynamics on how we want our children to remember us. Ann Goethe has given us a chance to re-assess our lives, how we live and treat others and how we want to be remembered. I often wonder if the secrets we as family members keep are worth it? I highly recommend “Goner” as it is thought-provoking and speaks to all of us.